Internet users across America were absolutely affronted when a controversial cooking hack that recommended mixing mayonnaise into pancake batter lit up the web. Admittedly, it might sound a bit strange to those not used to cooking sweet breakfasts with the popular sandwich condiment. That was certainly the reaction of legions of Twitter users who neglected to read the article. "what is wrong with you," one Twitter user responded. Another called the mayonnaise pancakes "monstrosities," and many called them criminal and evil. "Delete this," one person wrote. Another joked that "pancakes are cancelled." "What next?" wrote another. "The secret ingredient for your own maple syrup is [worcestershire] sauce?" A number of folks took issue with the wildly thick, fluffy pancakes in the picture, which decidedly don't look like the thinner, denser American ones. "Even if I wasn't allergic to mayonnaise, a pancake is not supposed to be thicker than a hardback edition of War and Peace," wrote one Twitter user. Another said that it was "not a pancake" at all but rather "an odd f***ing cake." But let's all just take a deep breath and hold our horses for a second. 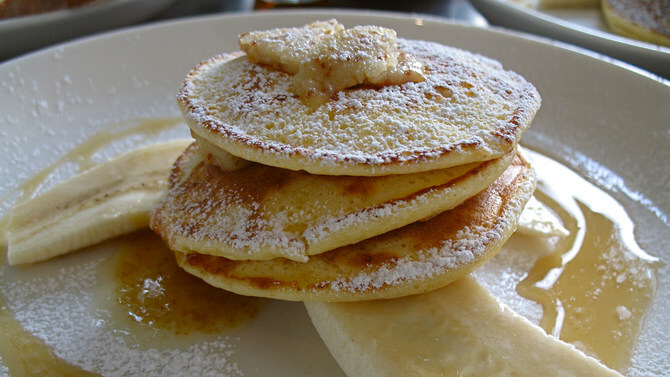 First of all, these are Japanese pancakes, which the folks at Lifehacker described as "tall," "spongey" and having "a hint of tartness" that goes well with syrup or fruit -- making it a little different than what many people had in mind. "Don't ridicule something until you've tried it, especially when it comes to foreign foods," food blogger Angela Lattimer wrote in a note to Munchies. "The kewpie mayo is sweet and adds a smoothness. For me, using kewpie mayo is a bit like including yogurt. They both work beautifully in the right recipe." Plus, since mayo is basically just egg and oil with a touch of vinegar, it's not actually that weird, and it actually works beautifully as the secret ingredient in some cakes and similar desserts, especially when combined with the seltzer water that the recipe calls for. "When mayonnaise is baked, the vinegar evaporates, thereby eliminating any taste or smell of mayo and just leaving the pure base of egg and oil," blogger Shihoko of Chopstick Chronicles wrote in her recipe for similar pancakes, according to Munchies. So what do you think? Have Japanese food bloggers gone too far this time?